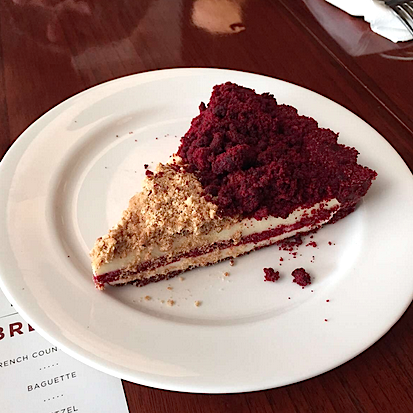 Union has been a famous name for the best red velvet cake in Jakarta and now they decided to open a smaller versions of their restaurant at Grand Indonesia Mall, inside Central department store. Union Deli decorated similarly with it's original restaurant. 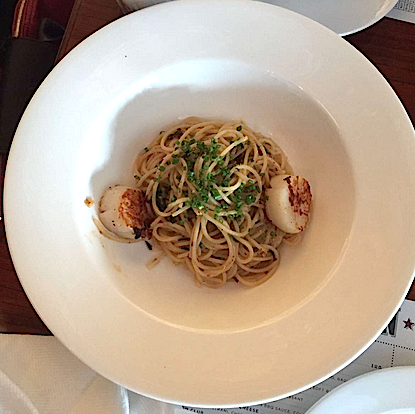 The scallop aglio olio are to die for even though the scallops are a bit overcooked but the taste of the whole spices tied in with the spaghetti are delicious! The sandwiches are too tough and quite blend. It is indeed still the best red velvet cake in Jakarta! But they created new inventions of the red velvet pie (Rp 50.000,00) and it was awesome. Light with a crunchy tart base and crumble was so yummy. The red velvet sundae (Rp 55.000,00) was just okay, I still prefer the cake or the pie. 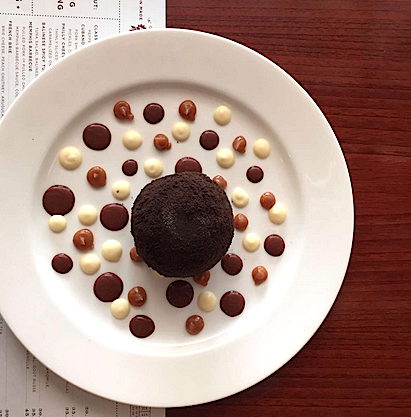 Baileys mud pie (Rp 50.000,00) is another popular menu, bitter coating with smooth and sweet ice cream inside with baileys. Another desserts worth trying is the homemade Rum and raisin pie (Rp 75.000,00), you can really taste the bitter rum mixed with vanilla and raisins. They have a special union southern ice tea (Rp 35.000,00), it was unique but taste refreshing.